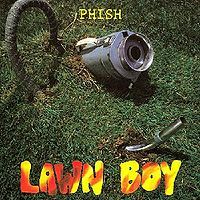 Cryin’ made its Phish debut at this show. In the soundcheck, Dog Log was performed in a funk style and Poor Heart was a cappella. Walking through the streets of Los Angeles towards the Greek Theater on that fateful night, I was at the beginning of a new passion in my life. I came up to everyone's belt buckles and had to tilt my neck back to look up at all the adults. I will never forget what I saw, for it became a way of life for me. Men and women wore bright clothing and dreadlocks and sold all sorts of things, from glass items to hemp necklaces to something I later on learned to love, goo balls. At the time I only had Junta to listen to (it was a gift), and I fell in love with the two disc masterpiece. I made the trek all the way from my native Costa Rica to California to be able to experience this wonderful new sound live. At twelve years old, I didn't know what to expect! As the crowd grew anxious inside the venue, I looked to my right and saw a beautiful girl (who must have been eighteen or nineteen years old) smile down at me and say, "Enjoy the show little sister". These words have stayed with me at every show I have been to since. The screaming grew louder and with the lights still dim, I saw four silhouettes climb the stage with a cool ease as if taking a stroll on a Sunday afternoon. That's when it all began: songs I had never heard that blew my mind. A new genre of music to my ears! I had never listened to other jambands, not even the Grateful Dead, so this sound that was coming from these four talented musicians was a new and wonderful experience! I danced like I had never danced in my life as they kicked off the show with "AC/DC Bag" and kept my groove all the way through "Sparkle" and "Divided Sky". 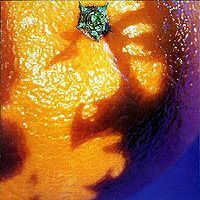 I finally chilled out when "Strange Design" began, a song that I have only had one other opportunity to listen to live (in 1997), after eight years of attending shows. My heart sank with the beautiful words and music that came from Trey Anastasio, a name I would become so acquainted with I would feel as if though I knew him. After the show I lay in bed and thought about everything that I had seen and heard that night. I knew then that that's how I wanted to live my life. 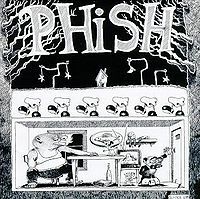 I wanted to follow Phish and live the excitement I had lived that night for the rest of my life. Almost an entire year went by before I had another opportunity to see Phish live. During that time I acquired most of the albums that had been released up until then and could play some of their basic riffs on my guitar. None of my friends in Costa Rica understood my love for the band, for the music. I was alone in my love of the band, but that never discouraged me from listening and believing that someday I would see them live again. That someday came July 5, 1996 in Rome, Italy. When I found out that Phish was doing a European tour, I immediately jumped at the opportunity to seeing them again. My mother is remarried to an Italian from Rome, so we spent quite a lot of time there. I was able to convince my mom to leave for Italy a few weeks before schedule so I could see the band perform a second time. I had hoped that my second Phish experience would be as good as my first"... that show exceeded my expectations. I was more familiar with the music then the first time around and had a much deeper appreciation for the different versions of songs I heard. That night I learned what a kind person was. Some kids I met at the show offered me to go with them to see the rest of the European tour. Over the years I saw Phish in over 10 states, most western European countries, and Japan. Now, at age 20, standing 5'11, I don't have to crank my neck back to look at everyone anymore, but I still feel the rush I felt that first night back in LA. My knees get weak, my stomach grows knots and my head goes crazy in anticipation wondering "what will they play tonight?"! I've never formally met the band, though I did have a very brief run-in with Trey in Los Angeles once in 2000 on one of his solo tours. But that's another story for another day"...I've often wondered what I would say to the guys if ever given the chance to meet them. So many questions pop to mind, about the words, about the music, about them"... but in the end I know I wouldn't really ask them anything. I would simply say "thank you". July 10, 2003 was my last concert, at Shoreline in California. It was my fiftieth show and I enjoyed it as much as I did my first, eight years before. 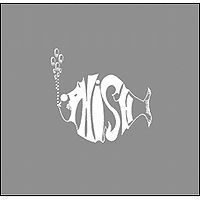 I know I will always love Phish and will continue to listen to their music throughout the rest of my life. I don't know for sure how many more shows I will go to in my life, I can't say how long Phish will continue to perform live, and I cannot promise myself that I will get in to every show that I try to. The only thing I am sure of is that I will hear a little voice inside my head that will say "enjoy the show little sister"... and I know that I will. The LA Greek Theatre is a very nice venue nestled in the hills of Griffith Park. The drive from the prior night's show in San Diego was a short 130 miles for the 3rd Fall 1995 show. AC/DC Bag opens the first set with a pace faster than they played in Sacramento's 2nd set. It's an average hot version that ends normally and transitions nicely into Sparkle which gets the crowd moving and yelping. Divided Sky seems appropriate for this venue and the placement in the set is spot on. There’s a minor hiccup post pause and the jam segment is solid but not extraordinary. California didn’t get any summer shows and the band is interspersing their new tunes throughout this 4-show CA run. Strange Design is well placed after D-sky as is the 3rd straight Cars Trucks Buses. You Enjoy Myself is most welcome in this odd slot of the set. Tour had been progressing nicely but was lacking a little in the beef category. The band got their groove on and we did too! Sweet Adeline makes the crowd smile and laugh. The first Suzy Greenberg of tour allows Page to show off his skills and closes the set. “We’re gonna take a 15 minute break, don’t do anything I wouldn’t do” might be Trey’s favorite set closing statement. The band opens the second set with a spaced out intro for Also Sprach Zarathustra before dropping into it. Maze immediately follows and this first version of tour is smokin’. It felt really good at the time and I’m thinking we have a couple more months of this nightly routine. Oh yeah! Split Open and Melt is one of my favorite songs to dance to at a show. I love how disjointed and abstract it can get. My body parts move in all different directions at the same time. This version gets a little dark but doesn’t go off the deep end. 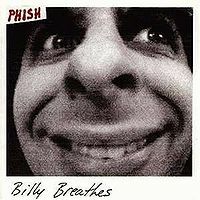 The 3rd straight Billy Breathes is played and I have to say I’m not disappointed since I needed a breathe after Melt. Chalk Dust Torture fills the encore role and successfully ratchets the mood up one more time, getting us amped for the 350+ mile drive back North where Phish will headline the Shoreline Amphitheatre for the first time! And celebrate Trey’s 31st birthday!! This is a pretty damn good show that you don't hear a whole lot about. bag through strange design are all played well. they are straight forward but well-played. page cuts loose a bit on cars trucks and buses as the band loosens up for a really nice first set yem. 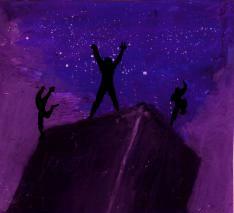 page, once again, is rock solid in yem. gordo lays it down a bit too. adeline appears poised to close the set, but they end up tacking on a rocking suzy greenberg. 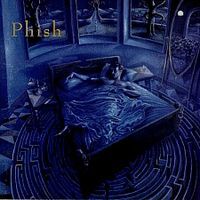 this is a pretty funky '95 era 2001. the maze that follows is where it is at though. trey and page really tear through this maze jam. very hot. the free that follows really keeps the momentum going. this is a nice early version of free. yamar cools things off nicely before soa melt. this one is a real rocker. it does not stray too far away from the melt theme, but it is certainly worth the listen. billy breathes feels a little out of place here, stuck between melt and hyhu, but hey, it's a nice little cool down. now, cryin' is hilarious. fishman bungles this one quite nicely. a lot of mumbling and hilarity. aditl was a nice, but straight forward closer. chalk dust gave everyone one last hooraah before hitting the streets. I love the song Billy Breathes, so I am going through and listening to every concert where it was played! Check it out i am posting on the page facebook/deathmetalhippy! So far this is a great show. Thanks for all your awesome reviews!